When President Trump issued his executive order barring visitors, immigrants, and refugees from seven majority-Muslim countries, hundreds of lawyers rushed to major airports, where they set up camp and begin filing lawsuits and habeas petitions on behalf of those detained. Maybe you were one of them. Maybe you want to be one of them. If so, here are a few resources to help you out. Many lawyers came to airports like JFK, Dulles, and LAX spontaneously, but many had been prepared in advance. That's because the International Refugee Assistance Project had issued an emergency call when news of the executive order was leaked two days before it was enacted. Public interest groups are still organizing lawyers today. Contact IRAP, the ACLU, or local groups like the Northwest Immigrant Rights Project for opportunities to help. Believe me, not every esquire fighting for detainees has a background in immigration law. There are plenty of roles that can be filled that don't require you to memorize the Immigration and Nationality Act. Corporate litigators are working on representing detained immigrants, in-house counsel are volunteering to monitor protests through the National Lawyers Guild, law students are helping draft law suits.If you've got legal knowledge, you're needed. While you don't need to be an immigration lawyer to help out, you'll want to be familiar with habeas petitions, where much of the legal work is now being done. Lucky for you, the Practising Law Institute will be offering a free webcast on challenging immigration detention with habeas petitions tomorrow, February 2nd. You can also brush up on the basics of immigration law with PLI's free 7-hour seminar. PLI isn't the only place to go for free help. Clio, the practice management software company, is offering free accounts for lawyers defending detained immigrants. 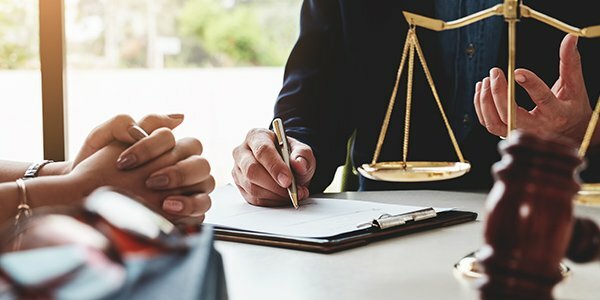 Major firms have stepped in to the fray as well, offering pro bono services to immigrants and support to other lawyers. If you're an attorney with a solo or small firm, pairing with a larger firm's pro bono program can be a great way to amplify your resources. And if Trump's executive order is all right with you and you just can't figure out what all the commotion is about, well Trump's Department of Justice is hiring, too.